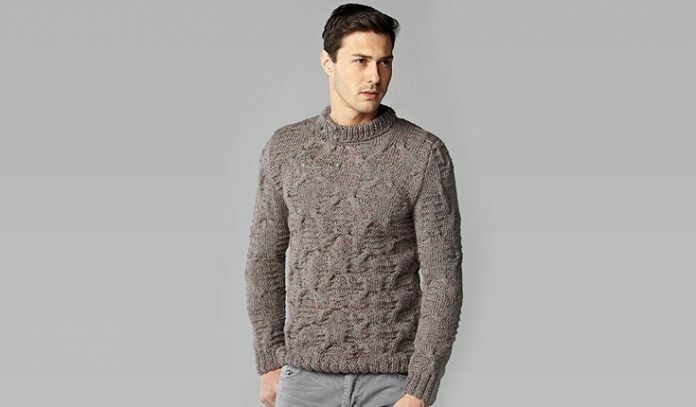 Last week we shared a nice classic men’s sweater pattern, very liked. 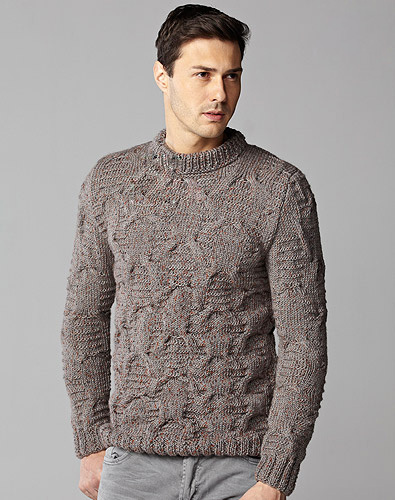 But we got some messages asking for “slim fit mens sweater pattern“. We did a quick research, and we found this nice ribbed sweater pattern. We have prepared some arrangements and charts for this pattern. I have no doubt that it will be a great work for experienced knitters. Cast on 90 stitches. Rib 2×2 for 6 cm and apply the model in the diagram. Knit body for 44 cm and cast off 3+2+1+1 stitches at both sides for the armhole. When the body measures 69 cm, cast off remaining 76 stitches together and bind off. Cast on 90 stitches and knit as back body. When the body measures 61 cm, center stitches for the neck and cast off 12 stitches in the middle part, and continue knitting in 2 pieces. Cast off 5+3+1 stitches at both sides of the neck. When the body measures 69 cm, cast off each 23 stitches remaining on the shoulders together and bind off. Cast on 45 stitches. Rib 2×2 for 6 cm and apply the model in the diagram. Increase 1 stitch at both sides 13 times spacing 6 rows and reach to 71 stitches. When the sleeve measures 45 cm, cast off 1 stitch at both sides 2+21 times for the armhole. When the sleeve measures 65 cm, cast off remaining 25 stitches together and bind off. Knit the other sleeve in the same way. Pick up 70 stitches on the needle around the neck. Rib 1×1 for 10 cm and then cast off all stitches together and bind off. Turn outwards and sew.